I am an Individual, and need to purchase tickets for myself, family, or friends. At the gate: General Admission, VIP / Fast Pass, Journeys End, Rigged, Shafted and Halloween Homicide tickets are available at the gate on all performance dates. THERE IS NO NEED TO PURCHASE ONLINE FOR GENERAL ADMISSION. 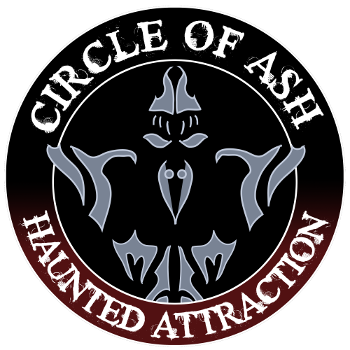 Online Ticketing: You may purchase tickets for Circle of Ash and Halloween Homicide online. Group rates are valid ONLY on any night except SATURDAY evenings. Groups are parties of 20 or more. All members of a group must attend on the same date, at the same time. Each group has a clearly defined leader, with full contact information. Groups pay in one transaction with either cash or credit card. Groups may pay with personal, business, or organization check no later than 10 business days prior to the date you attend. Group rates are for general admission only. Canned food donations are all or nothing - each attendee must donate a minimum of one canned food item to get the discount. No other discounts can be used in conjunction with group rates. Groups must be registered at least 72 hours (3 days) prior to the date you plan on attending. I am a corporate customer, and need to purchase a block of tickets for my employees. Circle of Ash is proud to provide block ticketing for our corporate customers. This program allows you to provide fun team building entertainment or makes great gifts for your team members and their families. Block ticketing requires a minimum purchase of 30 tickets, but the passes are good at any time and your may break them up into smaller groups as you see fit. A minimum of 30 tickets must be purchased. If you need less than that, consider our group rate program. Corporate rates are paid in advance via either check or credit card. Corporate rates are for general admission only. No other discounts can be used in conjunction with corporate rates. I am an employee of a Partner businesses, have won tickets online or on the radio, or have an access code. Circle of Ash business and advertising partners receive special consideration for employees of the partner to attend Circle of Ash at reduced rates. Your manager, store manager, station manager, or business owner has been provided with a special code that allows employees or ticket winners access to this system and it should have been communicated to you. Please enter the access code below to begin the process of claiming your tickets. Copyright 2019, Circle of Ash Haunted Attaction / FX13 Studios, All Rights Reserved. Any and all information submitted to Circle of Ash may be used in the future to contact you about our upcoming shows, quality feedback, or customer service requests.